AKIPRESS.COM - President Recep Tayyip Erdogan said Tuesday that Turkey would boycott U.S.-made electronic products, escalating a feud with the Trump administration that has contributed to the rapid decline of the Turkish currency, Washington Postreported. The currency, the lira, tumbled against the dollar last week when President Trump said he was doubling tariffs on imported Turkish metals to punish Erdogan for refusing to free an American pastor on trial in Turkey. 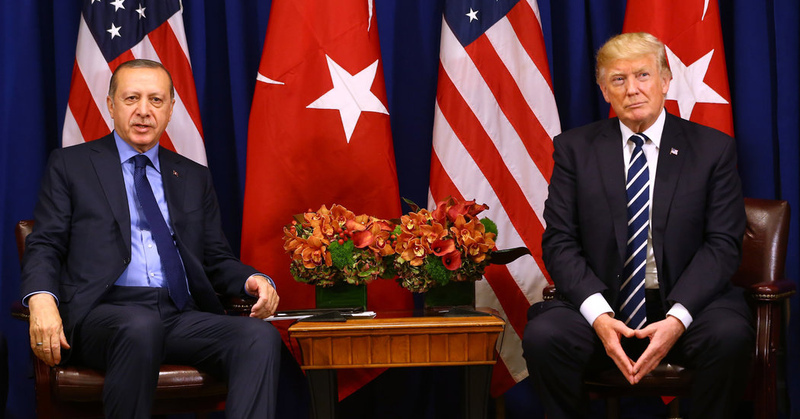 The argument over the pastor, Andrew Brunson, has sparked the worst crisis between the NATO allies in decades and led to fears that Turkey’s economic problems could cause a new global financial crisis. “We are going to apply a boycott on America’s electronic products,” Erdogan said Tuesday during a televised speech, adding that there were alternatives, produced by South Korean or Turkish companies. He did not say when the boycott would start or how it would be enforced. “If they have the iPhone, there is Samsung on the other side,” he said, referring to the phone by Apple that became closely associated with Erdogan two years ago when he used the device’s FaceTime feature to rally citizens during a coup attempt. The Turkish president, who is voluble even in his country’s calmest moments, has been outspoken as the lira has tumbled, repeatedly attributing the depreciation to sabotage by outside powers and insisting that the fundamentals of the Turkish economy are sound. His comments, however, have failed to quell a crisis that economists say is largely self-inflicted, owing to an overheated economy and the debt exposure of Turkey’s companies and banks. After days of heavy losses, the currency stabilized Tuesday, a day after Turkey’s central bank said it was taking steps to ensure financial stability and as the finance minister announced he would hold a conference call with international investors later this week. Turkey’s dispute with the Trump administration over the fate of Brunson has poured fuel on the crisis.